It is becoming more and more common for people to point to Hebrews 13:17 as giving pastors and elders in the church an almost unlimited authority to tell other Christians what to do — not just in affairs of the church, but also in their personal lives. This is a complete misunderstanding of the passage. The great Puritan John Owen does a fantastic job of expounding for us what this passage actually means, including the actual nature of the authority that it grants to elders in the church and its real and clear limitations. Obey your leaders and submit to them, for they are keeping watch over your souls, as those who will have to give an account. There are two parts of the duty enjoined with respect unto these guides, and that with distinct respect unto the two parts of their office before mentioned, namely, of teaching and ruling. [2.] The submission required, “Submit yourselves,” respects their rule. “Obey their doctrine, and submit to their rule.” [Note: Christians are to obey the true doctrine of their leaders, but submit to (which is not always the same as obey) their rule.] And some things must be observed, to clear the intention of the apostle herein. 1st. It is not a blind, implicit obedience and subjection, that is here prescribed. A presence hereof hath been abused to the ruin of the souls of men: but there is nothing more contrary to the whole nature of gospel obedience, which is our “reasonable service;” and in particular, it is that which would frustrate all the rules and directions given unto believers in this epistle itself, as well as elsewhere, about all the duties that are required of them. For to what purpose are they used, if no more be required but that men give up themselves, by an implicit credulity, to obey the dictates of others? 2ndly. It hath respect unto them in their office only. If those who suppose themselves in office do teach and enjoin things that belong not unto their office, there is no obedience due unto them by virtue of this command. So it is with the guides of the church of Rome, who, under a presence of their office, give commands in secular things, no way belonging unto the ministry of the gospel. [The office of pastor is to be discharged with] design, care, and diligence….Where this is not the design of church rulers, where it is not their work and employment, where they do not evidence it so to be, they can claim no obedience from the church, by virtue of this rule…. An assumption of right and power by any to rule over the church, without evidencing their design and work to be a watching for the good of their souls, is pernicious unto themselves, and ruinous unto the church itself. What’s Best Next exists to help you be more effective. Here you’ll find resources and training to help you lead, create, and get things done. To do work that matters, and do it better. To seek the interests of Christ and the good of others through your work. We call it gospel-driven productivity, and it’s the path to finding the deepest possible meaning in your work and the path to greatest effectiveness. 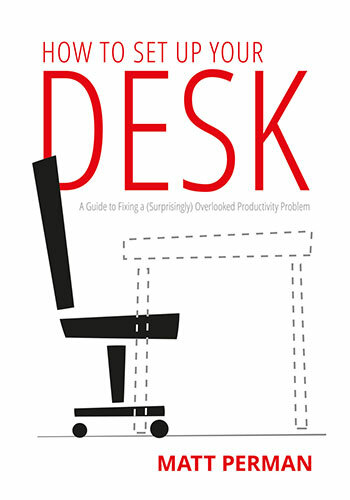 Matt Perman started What’s Best Next in 2008 as a blog on God-centered productivity. It has now become an organization dedicated to helping you do work that matters. 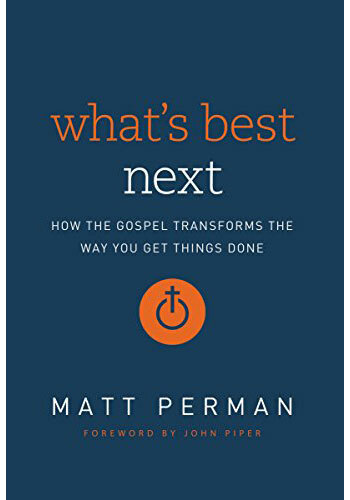 Matt is the author of What’s Best Next: How the Gospel Transforms the Way You Get Things Done and a frequent speaker on leadership and productivity from a gospel-driven perspective. He has led the website teams at Desiring God and Made to Flourish. Subscribe for exclusive updates, productivity tips, and free resources right in your inbox. Copyright © 2019 - What's Best Next. All Rights Reserved. Contact Us.